This is the first of three cards I'll be teaching at an upcoming workshop two of my bunco friends will be hosting (hi Kelly and Sheila!)... I wanted the cards to be useful, fun, and easy to make! I was inspired by this card and CASE-d it! 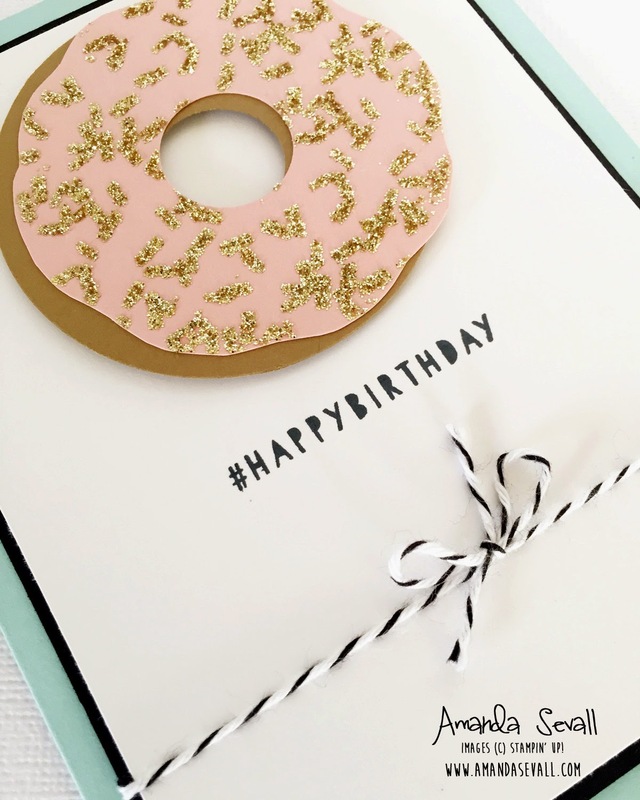 The donut is simply a die cut circle with a smaller circle in the inside to punch out the center -- you cut out two, one of each color (your donut and your frosting). On the frosting circle, you cut a few wavy edges with your scissors to make it look more realistic. How fun is that! If you are local and would like to join the fun, just let me know and I'll get you on the invite list!